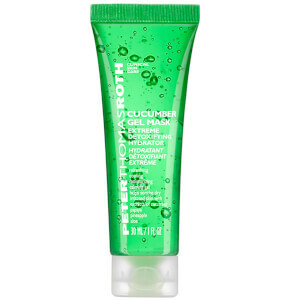 The Peter Thomas Roth Jet Set Facial Kit allows you to enjoy a luxurious facial on the go - wherever you are. The travel-sized set combines the brand's bestselling cleanser, peeling gel, moisturiser and mask to leave skin feeling clean, smooth and replenished. A fragrance-free face wash that effectively lifts away dirt and impurities without stripping skin. Gently removing makeup and grime while moisturising the complexion, it contains Hyaluronic Acid (which attracts and retains up to 1000 its weight in water from moisture in the atmosphere) to plump the appearance of skin, and a combination of Sodium PCA, Coconut Oil and Marshmallow Root extract to help nourish, soften and soothe. Eliminating dirt and cosmetics, the cleanser will purify skin while helping to maintain moisture levels to reveal a radiant, youthful-looking visage. Skin is left feeling silky and residue-free. Suitable for all skin types. Suitable for contact lens wearers. Fragrance free. Ophthalmologist-tested for sensitive eyes. A unique, deeply satisfying treatment to gently exfoliate and refine for a more even, balanced tone. The powerful formula harnesses a trifecta of multi-action enzymes (Pineapple, Pomegranate and Keratinase) which activate when massaged into skin to effectively dissolve dulling debris and dead skin cells that clog pores and cause dryness. Roll and lift into skin to visibly see the results, promoting an instantly brighter and revitalised-looking complexion. Hydrating agents of Glycerin and Hyaluronic Acid maximise hydration levels to combat dryness or rough patches, with a customisable treatment that can be levelled up to suit both the most sensitive and most resilient skin types depending on your needs. 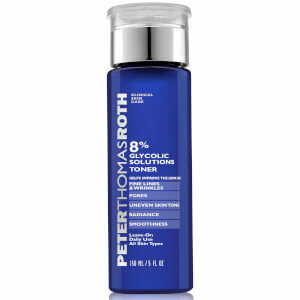 Skin appears radiant and healthy with superior clarity and texture. A moisturiser that recharges your skin with a surge of moisture that lasts up to 72 hours. Formulated with a 30% Hyaluronic Acid complex (with three molecular sizes of Hyaluronic Acid), the cream intensely hydrates by attracting and retaining water from moisture in the air, which plumps the appearance of skin to promote a supple, smoother-looking complexion; fine lines and wrinkles appear to disappear. Delivering a continuous burst of hydration, the replenishing cream also contains Ceramides to lock in moisture, ProHyal+® to further improve hydration and water-soluble Silk Proteins to reveal a soft, smooth and youthful-looking visage. Infused with the antioxidant properties of Elderberry to protect against external attacks and signs of ageing. Suitable for all skin types. Free from oil, alcohol and fragrance. Cleanser: Water/Aqua/Eau, Sodium Cocoyl Isethionate, Glycerin, Glyceryl Stearate Se, Stearic Acid, Coconut Acid, Cetearyl Alcohol, Cocos Nucifera (Coconut) Oil, Sodium Caproyl Methyltaurate, Disodium Cocoamphodiacetate, Polyglyceryl-10 Myristate, Sodium Methyl Stearoyl Taurate, Sodium Hyaluronate, Althaea Officinalis Root Extract, Sambucus Nigra Fruit Extract, Sodium PCA, Glycol Distearate, Sodium Chloride, Sodium Isethionate, Xanthan Gum, Propylene Glycol, Sodium Hydroxide, Tetrasodium Edta, Mica, Potassium Sorbate, Sodium Benzoate, Ethylhexylglycerin, Phenoxyethanol. Peel: Water/Aqua/Eau, Peg-32, Cellulose, Butylene Glycol, Citrus Aurantium Bergamia (Bergamot) Fruit Water, Sorbitol, R-Bacillus Licheniformis Keratinase, Ananas Sativus (Pineapple) Fruit Extract, Lactobacillus/Punica Granatum Fruit Ferment Extract, Leuconostoc/Radish Root Ferment Filtrate, Sodium Hyaluronate, Glycerin, Sodium Hydroxide, Citric Acid, Tetrasodium Edta, Algin, Carbomer, Tromethamine, Isopropyl Myristate, Sodium Chloride, Calcium Chloride, Potassium Sorbate, Sodium Benzoate, Mica, Phenoxyethanol. 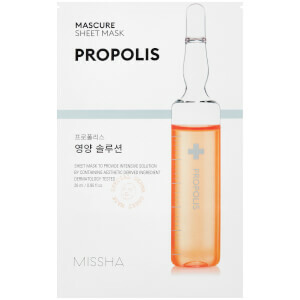 Moisturiser: Water/Aqua/Eau, Glycerin, Dipropylene Glycol, Dimethicone, Cyclopentasiloxane, Cyclohexasiloxane, Yeast Extract, Sodium Hyaluronate, Ceramide Eop, Ceramide Eos, Ceramide Ap, Ceramide Np, Ceramide Ns, Sambucus Nigra Fruit Extract, Hydrolyzed Silk, Sodium Pca, Tocopherol, Ascorbyl Palmitate, Caprooyl Phytosphingosine, Caprooyl Sphingosine, Saccharide Isomerate, Saccharomyces/Magnesium Ferment, Saccharomyces/Iron Ferment, Saccharomyces/Copper Ferment, Saccharomyces/Silicon Ferment, Saccharomyces/Zinc Ferment, Olea Europaea (Olive) Leaf Extract, Methyl Gluceth-20, Ethylhexylglycerin, Lauryl Peg-9 Polydimethylsiloxyethyl Dimethicone, Cholesterol, Sodium Chloride, Sodium Citrate, Citric Acid, Behenic Acid, Propylene Glycol, Ceteareth-25, Butylene Glycol, Dimethicone/Peg-10/15 Crosspolymer, Cetyl Alcohol, Disodium EDTA, Sodium Benzoate, Potassium Sorbate, Phenoxyethanol, Mica. 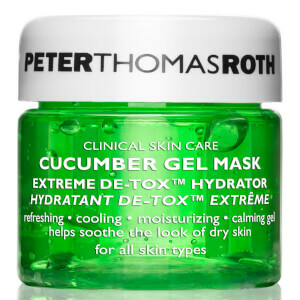 Gel Mask: Water/Aqua/Eau, Butylene Glycol, Cucumis Sativus (Cucumber) Fruit Extract, Ananas Sativus (Pineapple) Fruit Extract, Vaccinium Myrtillus Fruit/Leaf Extract, Carica Papaya (Papaya) Fruit Extract, Acer Saccharum (Sugar Maple) Extract, Saccharum Officinarum (Sugar Cane) Extract, Aloe Barbadensis Leaf Juice, Chamomilla Recutita (Matricaria) Flower Extract, Chamomilla Recutita (Matricaria) Flower Oil, Citrus Limon (Lemon) Fruit Extract, Citrus Aurantium Dulcis (Orange) Fruit Extract, Mangifera Indica (Mango) Fruit Extract, Sodium Pca, Allantoin, Glycerin, Propylene Glycol, Disodium Edta, Sodium Hydroxide, Citric Acid, Carbomer, Triethanolamine, Polysorbate 20, Potassium Sorbate, Sodium Benzoate, Phenoxyethanol, Yellow 5 (Ci 19140), Blue 1 (Ci 42090).